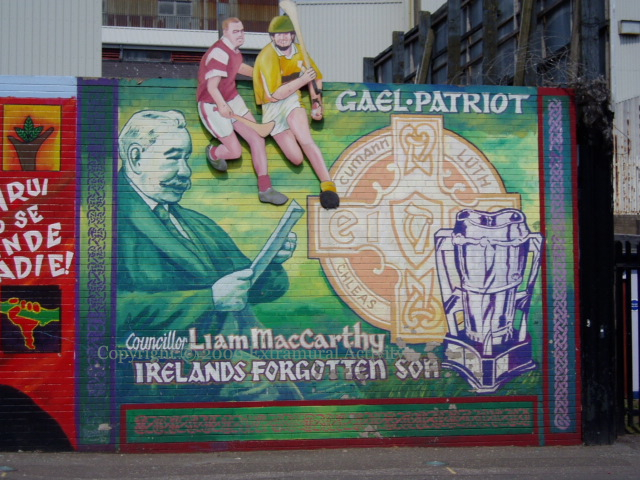 International wall, Divis St. MacCarthy and the hurling cup that bears his name. To the right of this mural. An unusual mural in terms of form. A mix of mural and board. Knot-work on three sides but not the top, so that the hurley players simply break the main mural and not the frame.